Posted on 15 April 2017. Tags: Assad: Using Chemical Weapons ??? 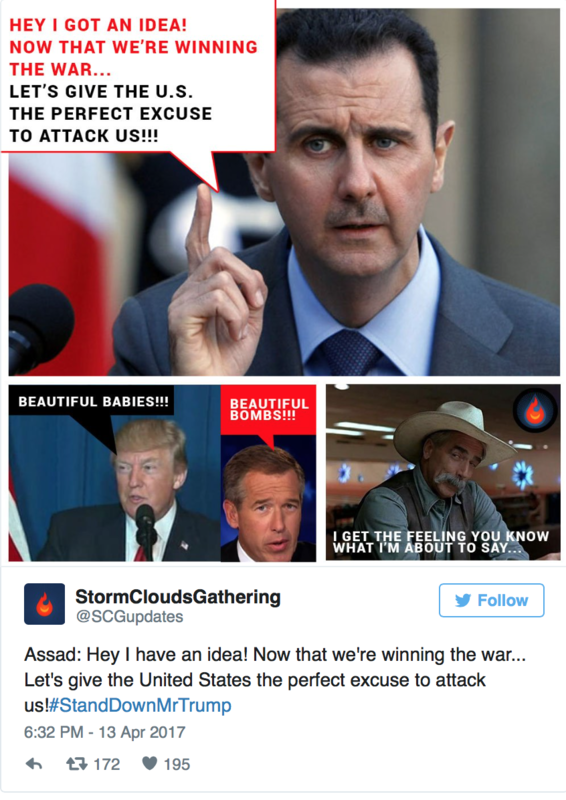 On April 6th, 2017, on the 100 year anniversary of America’s entry into World War I, Donald Trump launched airstrikes against the Syrian government; in retaliation for a gas attack supposedly perpetrated by Assad. There was no investigation, not even a hack job of a frame up like we had in 2003. The evidence we do have contradicts the official story, and the stakes are much higher this time around. Then before the dust had even settled, Trump pivoted to Asia. Ratcheting up intimidation tactics, towards North Korea. Threatening regime change and practically begging the already insecure Kim Jong-un to do something stupid. And that’s the point. Provoke a response, and then play the victim. If he can’t get it the old fashion way he might just make one up. Trump cut a deal with the deep state, and the neoliberal/neocon/corporate alliance. They got his back now. As long as they get their war, everybody’s happy. Make no mistake this is just the beginning. Expect the unexpected in the South China Sea, Iran, and Eastern Europe and on the home front. The circus tent is coming down, but boy is he gonna give us a show in the meantime. 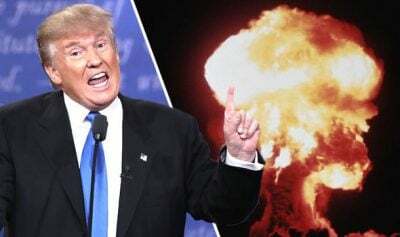 Trump isn’t just flirting with World War III, he’s inviting it. He wants everyone to know that he’s crazy enough to pull the trigger; thinks it’ll help him twist some arms, thinks he can force the big boys to negotiate. But this isn’t isn’t a real estate deal, and that’s not an ace he’s got up his sleeve. Nobody wins a nuclear war. If just 300 of Russia’s bombs were set off in the United States somewhere between 75 and 100 million people would die in the first half hour. Most of the infrastructure needed to support the population would be instantly destroyed: communication systems, hospitals, transport, power plants, etc… Those not killed by the initial blast would die slowly in the coming months from radiation poisoning, starvation, exposure, and disease. Even a smaller nuclear conflict involving only 50 to 100 Hiroshima sized bombs would send 5 million tons of debris into the upper atmosphere causing global temperatures to plummet catastrophically, reducing rainfall worldwide for up to a decade, devastating agriculture, and triggering mass starvation on a global scale. That is not a world you would want to raise children in. The powers want to tip the game board, rewrite history and start again. They think you’re too stupid, too distracted, too easy to manipulated by emotional platitudes to examine the evidence. It would be completely illogical for Assad to use chemical weapons at this stage of the conflict . They had nothing to gain from this and everything to lose. The Syrian army had the clear advantage at this stage with conventional means, Russia has their back, and that gave them an extremely strong position going into negotiations which were scheduled for the very next day (April 7th). Assad would have to be a total moron to do something like this (and he’s not). Then there’s the fact Assad doesn’t actually have such weapons. According to the OPCW, the last of Syria’s chemical weapons were handed over for destruction in 2014. John Kerry confirmed this assessment. Really? When? According to the U.N. investigation conducted on the gas attacks of 2013, as reported by the BBC, it was the Rebels that used Sarin, not Assad. Obama backed down in 2013 because the U.S. backed rebels got caught, and we held them accountable. As a people we activated in 2013 against these airstrikes. We flooded the phone lines as congress approached the vote. We didn’t ask nicely. We made it clear that we knew their names and addresses and that we would hold them personally accountable for the consequences. Funny thing: they cancelled the vote, Obama backed down, and humanity temporarily stepped away from the abyss. Even a week prior to the airstrikes the Trump administration had announced that Assad could stay… then something flipped. Mr Trump is a liar, a hypocrite and a fool. He has turned the U.S. military into Al Qaeda’s air force. He’s playing chicken with humanity’s future. He’s rolling dice with the inhabitability of the planet. And this insanity is bipartisan! The Neoliberal, Neocon, corporate alliance has come out of the closet, in a disgusting show of war mongering solidarity. These haircuts in suits don’t deserve your obedience. They don’t even deserve your respect. It’s not their power it’s yours. If enough of you figure that out it’s game over. That’s why they pit you against each other provoking artificial group identities. Divide and conquer makes you easy to control. The choices we make in the next few milliseconds of human history count. A lot. Asymmetrical Response When the odds are stacked against us, and failure is not an option we must formulate an asymmetrical response. We have to think outside the box, find creative ways to break the chain of obedience, and send a message in uncompromising terms: #StandDownMr.Trump Stand Down. “We’re not going into Syria,” he said. According to Gen. McMaster “we are”, and it’s only a matter of time. As Lake explains, McMaster himself has found resistance to a more robust ground troop presence in Syria. In two meetings since the end of February of Trump’s national security cabinet, known as the principals’ committee, Trump’s top advisers have failed to reach consensus on the Islamic State strategy. The White House and administration officials say Secretary of Defense James Mattis, Chairman of the Joint Chiefs of Staff Joseph Dunford and General Joseph Votel, who is in charge of U.S. Central Command, oppose sending more conventional forces into Syria. An interesting aside: according to a Lake source, Stephen Bannon had “derided” McMaster to his colleagues as trying to start a new Iraq War. Bannon’s opposition to yet another US conflict – one which would have the clear goal of replacing the Assad regime – may explain why the former Breitbart head is on his way out. So where in the process is the McMaster “ground war” plan currently? Lake reports that it is still in its early stages. Because Trump’s national security cabinet has not reached consensus, the Islamic State war plan is now being debated at the policy coordinating committee, the inter-agency group hosted at the State Department of subject matter experts that prepares issues for the principals’ committee and deputies’ committee, after which a question reaches the president’s desk for a decision. Inside the Pentagon, military leaders favor a more robust version of Obama’s strategy against the Islamic State. This has been a combination of airstrikes and special operations forces that train and support local forces… McMaster however is skeptical of this approach. To start, it relies primarily on Syrian Kurdish militias to conquer and hold Arab-majority territory. Jack Keane, a retired four-star Army general who is close to McMaster, acknowledged to me this week that the Kurdish forces have been willing to fight the Islamic State, whereas Arab militias have primarily fought against the Assad regime. Keane told Lake he favored a plan to begin a military operation along the Euphrates River Valley. While McMaster has not disclosed in public whether he supports a ground troop offensive, on Sunday in an interview with Fox News, McMaster gave some insights into his thinking on the broader strategy against the Islamic State. “We are conducting very effective operations alongside our partners in Syria and in Iraq to defeat ISIS, to destroy ISIS and reestablish control of that territory, control of those populations, protect those populations, allow refugees to come back, begin reconstruction,” he said. According to Lake, “that’s significant” as Obama never said the goal of the U.S. intervention in Iraq and Syria was to defeat the Islamic State, let alone to protect the population from the group and begin reconstruction. Those aims are much closer to the goals of George W. Bush’s surge strategy for Iraq at the end of his second term, under which U.S. conventional forces embedded with the Iraqi army would “clear, hold and build” areas that once belonged to al Qaeda’s franchise. As a young colonel serving in Iraq, he was one of the first military officers to form a successful alliance with local forces, in Tal Afair, to defeat the predecessor to the Islamic State, al Qaeda in Iraq. During the Iraq War, McMaster became one of the closest advisers to David Petraeus, the four-star general who led the counter-insurgency strategy in Iraq that defeated al Qaeda in Iraq — and brought about a temporary, uneasy peace there. That peace unraveled after Obama withdrew all U.S. forces from Iraq at the end of 2011. Obama himself never apologized for that decision, even though he had to send special operations forces back to Iraq in the summer of 2014 after the Islamic State captured Mosul, Iraq’s second-largest city. He argued that U.S. forces in Iraq would have been caught up inside a civil war had they stayed. The cadre of former military advisers to Petraeus took a different view. They argued that America’s abandonment of Iraq gave the Shiite majority there a license to pursue a sectarian agenda that provided a political and military opening for the Islamic State. An active U.S. presence in Iraq would have restrained those sectarian forces. One of those advisers was H.R. McMaster. What was unsaid in Lake’s piece, is that the real aim of any US ground assault would be to remove the Assad regime and “destabilize” the Middle-Eastern region, something both Rex Tillerson and Sean Spicer hinted at over the past week. That, in itself, would be considered a clear act of war, even if there is no formal declaration by Congress. It would also prompt a ground troop response by not only Assad but also Russia. The real conclusion, however, is different: it is now up to Goldman to decide whether to advise Trump to risk starting World War III in Syria by sending some 50,000 “boots on the ground” to start, a number which will only grow in direct proportion with the casualties that emerge as this proxy world war enters its final, most destructive phase. While focus regarding the Syrian conflict has shifted almost exclusively to recent US cruise missile strikes, what the strikes are designed to lay the groundwork for holds much larger implications. Particular attention should be focused on US forces operating both within Syrian territory and along Syria’s borders. Normalizing the use of stand-off weapons like cruise missiles makes it easier and more likely that similar attacks will unfold in the near future – particularly if Syria and its allies fail to demonstrate a significant deterrence against future attacks. 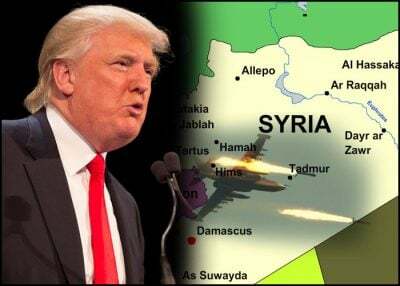 The use of stand-off weapons by the United States and the routine use of airstrikes by US allies including Israel within Syrian territory will likely open the door to wider and more direct military intervention against the Syrian government. Punitive strikes will shift incrementally to a concerted effort to dismantle Syria’s fighting capacity, inviting either US proxies to overthrow the Syrian government, or for US forces to do so directly – or likely a combination of both. Preparing for just such an escalation are not only US forces continuously expanding the scale and scope of their presence in eastern Syria and NATO-member Turkey’s forces in northern Syria, but also a US-led proxy army being staged in and operated from, for years now, in Jordan. Anti-ISIS coalition troops and allied Syrian opposition forces have repelled an attack by the terrorist group on a joint base in southern Syria, according to the coalition. 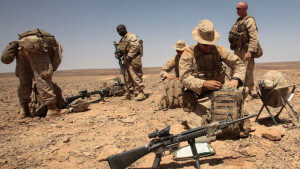 The US-led coalition said ISIS initiated a complex attack on Saturday at the At Tanf Garrison on the Syrian-Jordanian border using a vehicle-borne IED, and 20-30 fighters followed with a ground assault and suicide vests. Some American forces were at the base at the time of the assault, the official said. Additionally, for years, US policymakers and media platforms have discussed both potential plans for staging an invading force in Jordan, as well as ongoing efforts to stand up a proxy force in Jordan before moving it into Syrian territory. Jordanian officials told reporters on Thursday that coalition forces have begun training prescreened rebels at a site inside the Middle Eastern kingdom. Training locations are also expected to begin operation in Turkey, Saudi Arabia and Qatar. U.S. military officials are considering ways to ramp up training of Syrian fighters against the Islamic State as the Pentagon moves cautiously forward with a revamped program to create an effective local ground force. 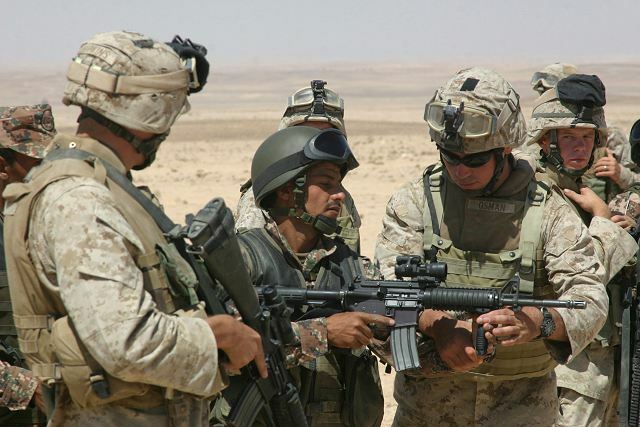 The series of setbacks hindering the creation of an “opposition army” from scratch, and even setbacks in training and effectively utilising existing militant and terrorist groups may be why the US has also sought to create its own large and growing military presence in Jordan. 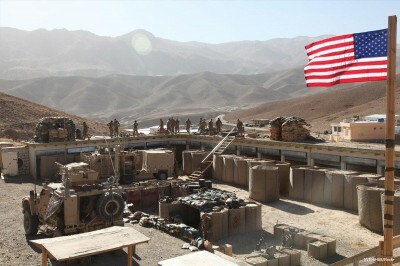 Although initially tasked with playing a support role in assisting Jordan in developing contingency plans for mitigating the destabilizing spillover effects of Syria’s civil war, the troops could “potentially form a joint task force for military operations, if ordered.” The headquarters staff will lay the foundation for a formal U.S. military presence that could grow to 20,000 troops or more, if the Obama Administration activates contingency plans for a major U.S. military intervention. According to most estimates from across the Western media, approximately 1,000-2,000 US service members are currently stationed in Jordan. Expanding that number to 20,000 or more would surely be noticed by Syrian, Russian, and Iranian intelligence agencies. Likewise, the creation and deployment of a full-scale invasion force created by America’s Persian Gulf allies or NATO-member Turkey would likewise be noticed long before having a chance to storm Syrian territory. Instead of a full-scale invasion, what is more likely is the incremental Balkanization of Syria, with Turkey already holding significant territory in the north, Israel maintaining its long-term occupation of the Golan Heights in the west, US troops occupying Syrian territory in east, alongside Persian Gulf sponsored terrorists holding both the eastern city of Raqqa and the northern city of Idlib. A US-led incursion into southern Syria could likewise carve off territory even if such an incursion falls short of reaching Damascus or toppling the government presiding there. With focus elsewhere – particularly along Syria’s border with Turkey and amid operations aimed at taking back both Raqqa and Idlib – Jordan has enjoyed relative obscurity amid geopolitical analysis. However – as the endgame approaches and the US increasingly becomes desperate – Jordan’s role as a staging point and potential vector into Syria for additional US troops and for the carving out of additional Syrian territory should be noted and brought to the public’s attention. Additionally, it is important for the public to understand that America’s “new policy” toward Syria is simply a redux of years – even decades – of attempts to use both proxy and direct military force against the Syrian state to depose its government and create either a proxy or a failed state to take its place. 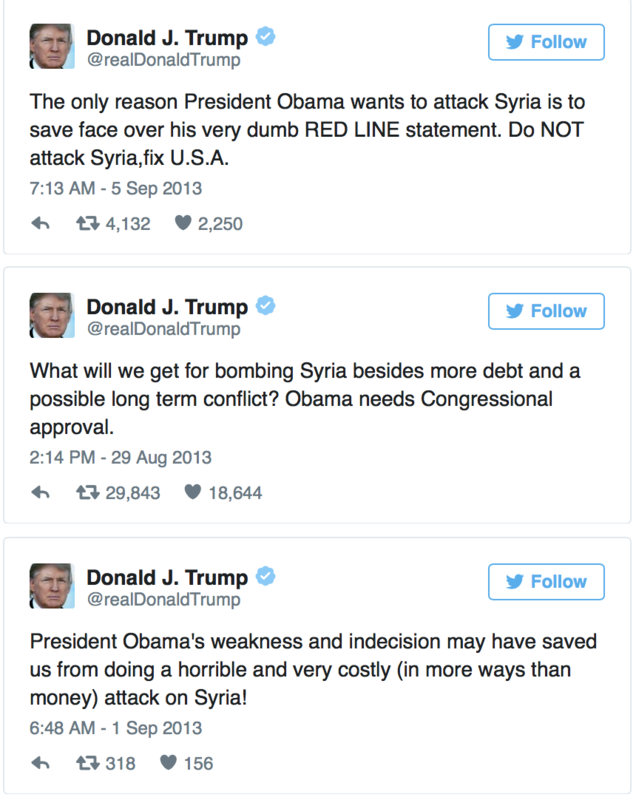 While many personal and political motivations will be assigned to US President Donald Trump for why “he” is pursuing expanded aggression against Syria, it should be noted that the plans “he” is now executing sat on former President Barack Obama’s desk for years waiting for the right moment to be implemented – only to be complicated by Syrian resilience and Russia’s 2015 intervention. 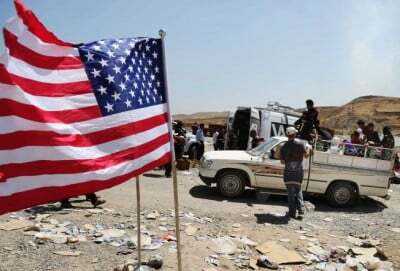 With this in mind, and with pressure on the Jordanian government, Jordan may rein in US forces operating from its territory, hindering, even if ever so slightly, US ambitions to further compound Syria’s tragic, ongoing conflict. Posted on 15 April 2017. Tags: Syria: Chemical Weapons Attack ?? 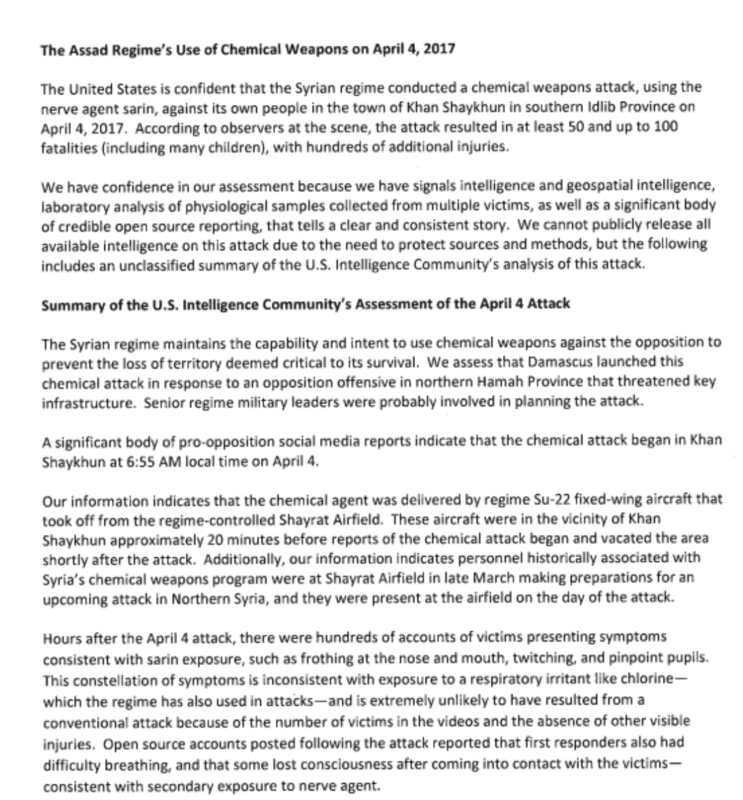 On April 11th, the White House released a “declassified four-page report” on the alleged chemical weapons attack in the village of Khan Shaykhun in the Syrian province of Idlib. The United States accuses the Syrian and Russian governments of providing disinformation and “false narratives” regarding the attack, adding that Washington is sure that the Assad government is responsible for the attack. However, the report provides only a “summary” of the United States’ version of the situation. According to this version, the US possesses intelligence and evidence of the attack but cannot reveal it because of security classifications. It is stated in the report that the Syrian government maintains the capability to conduct a chemical weapons attack to prevent “the loss of territory deemed critical to its survival”. Then, the “declassified” report just retells the story provided by hard-core “pro-opposition” media outlets and activists -in other words, supporters of Hayat Tahrir al-Sham (formerly Jabhat al-Nusra, the Syrian branch of al-Qaeda) and Ahrar al-Sham (a radical Islamist group that had cooperated with ISIS until 2014). It should be noted that the report added some “fresh” facts to the opposition story – for example, it argues that some “personnel historically associated with Syria’s chemical weapons program” were at the Shayarat military airfield. However, this part lacks evidence. Additionally, if the guys from the White House really believe that the “Assad regime” suffered some notable setbacks across the country or in northern Hama itself in early April, then they are hardly aware of current situational maps of the area. By April 4th, pro-government forces had reversed nearly all gains of the “opposition forces” led by Hayat Tahrir al-Sham in northern Hama, a detail curiously omitted from the report. Since then, the situation has been more or less stable. Furthermore, Khan Shaykhun is far away from the current frontline. However, the report promotes the idea that the Syrian government was pushed to use some “chemical weapons” to save itself. Then, the report once again refers to videos posted by the “opposition” and reports provided by “human rights organizations.” The document emphasizes that “the opposition could not have fabricated all of the videos and other reporting of chemical attacks” because it is too complicated. We recall that the so-called White Helmets and media activists linked with them are the primary source of the initial reports. The rest of the paper is dedicated to the blaming and shaming of Syria and Russia for a wide range of issues: from conducting a chemical attack to pushing false narratives about the attack. It’s interesting to note that the document, as well as US diplomats, say nothing about the need of investigation of the incident by the international community. The proper investigation of the incident is especially important amid contradictory claims made by various sides interested in pushing their own agendas regarding the issue. It is clear that the whole pretext and explanation of the Syrian government’s desperate need to use chemical weapons against some target far away from the front line, as well as the inability to provide any real confirmation of allegations as to who actually conducted the attack, looks very questionable. Keystone XL Pipeline is a long-controversial proposed Canadian pipeline project through the U.S. north to south, from Canada to the Gulf of Mexico, to trans-ship the world’s most global-warming filthiest oil, from Canada’s tar-sands, to be burnt and used in Europe. 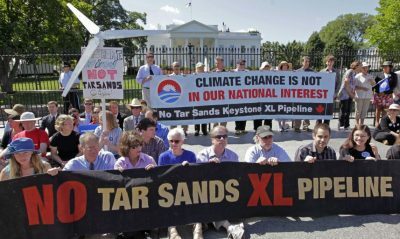 On March 24th, U.S. President Trump informed the to-be-owner of the Keystone XL Pipeline project, that he gives them the go-ahead to build it, after U.S. President Barack Obama had, near the end of his Presidency, prohibited it. Obama had wanted it built (and had pressured the EU to accept the oil that would be shipped to them from the proposed Pipeline’s southern terminus in Galveston, to sell this Canadian oil in Europe), but the EU said no; they wouldn’t relax their anti-global-warming standards to accept the world’s dirtiest oil, and this refusal by them eased Obama’s decision to give Ms. Clinton’s campaign the boost it needed by his simply nixing the project altogether. He nixed it in order to show Democratic voters that the Democratic Party cares about the environment, so as not to depress the electoral turnout for Hillary Clinton (who was actually a big supporter of fossil-fuels) on Election Day November 8th. But not only did the EU say no; the voters said no, to Clinton, too. So, this was a double disappointment to Obama; he had turned the Pipeline down for nothing — nothing that he had wanted, anyway, because global warming never seriously mattered to him (and therefore what he was doing about it in secret was supportive of the gas-and-oil industries). Clinton had done all she could to rig the Environmental Impact Statements to favor construction of Keystone: The State Department needed to go through three draft versions before even one of them — the final one, which was released by her successor, Secretary of State Kerry — included any estimate at all of the impact that the Pipeline would have on global warming. Until the third (the Clinton-Kerry) version, all that it estimated was the impact that global warming would have on the Pipeline (and other such trivia — and loads of such distractions, so that the press didn’t even recognize that the «State Dept. Keystone XL Study Ignores Climate Impact», as I headlined my original report on the first of the three): the Clinton State Department reported that the pipeline would have no such global-warming impacts at all, but only good impacts (such as trivial increases in employment). They were puff-pieces for the Pipeline. No climatologist was on any of the three teams that prepared the three drafts. This had not been an oversight; it was intentional, so as to make politically palatable for Obama to approve the project (which he wanted to do), and for him to be able to do it far enough in advance of the 2016 Presidential campaign so as not to impede the election of a Democratic President following him. But the EPA balked at both of the first two drafts, and these delays caused Obama’s decision to come too close to the 2016 elections, for his comfort; so, it was, for him, a politically forced «No». What, then, will be the likely impact, upon the climate, if the Pipeline is ultimately built and operated? Though the two all-Clinton Environmental Impact Statements said nothing whatsoever about the global-warming impact, the Clinton-Kerry one did; and — because, like the first two, it was prepared by oil-industry contractors (instead of by the U.S. State Department or any other federal workers), who had bigger and private fish to fry (oil-industry contracts) than to worry about the global climate — they vastly underestimated its Green House Gas emission (GHGe) impact. Here, we apply a simple model to understand the implications of the pipeline for greenhouse gas emissions as a function of any resulting increase in oil sands production. … Our analysis suggests incremental GHGemissions of 100110Mt CO2e, or four times the upper State Department estimate. The sole reason for this difference is that we account for the changes in global oil consumption resulting from increasing oil sands production levels, whereas the State Department does not. … Our simple model shows that, to the extent that Keystone XL leads to greater oil sands production, the pipeline’s effect on oil prices could substantially increase its total GHG impact. After the extensive ‘news’ coverage that had been done of the Keystone XL issue, there was, finally, an at least elementary scientific analysis of the proposed Pipeline’s impact upon global warming, but there was little press coverage of this, and none of those few news-reports linked to the scientific article itself (as I just did here), and one of those ‘news’ reports even misstated that, «The study also says the pipeline could reduce oil prices to $3 a barrel,» which it did not say: it said that XL might reduce the price by up to $3 a barrel — there’s, of course, a big difference. (And, furthermore, the Keystone XL Pipeline would increase the price of gasoline in the center of the United States; the price-decreases would be for the export-markets.) What’s critically important, however, is that all of that price-lowering would be price-lowering on the most CO2-intensive of all oils, tar-sands oils, which require around an extra $12/barrel to process because of the extra expenses to remove the sand from it. That’s where the extra CO2-emissions would be coming from, that extra processing: the replacement of relatively clean oil, by relatively dirty oil. This is something that almost all of the ‘news’ reports on Keystone XL have ignored entirely — but it is also the reason why the Koch brothers and other major owners of the tar-sands are desperate to get their product to market as inexpensively as possible. And the Keystone XL Pipeline would be by far the cheapest way to do that. The petro-gas billionaires don’t care about whether our grandchildren will be living on a dying, scorching, planet; they want their extra billions of dollars while they’re alive to enjoy it. And our Presidents are serving today’s billionaires; certainly not serving future generations of us. And anyone who thinks that Trump is any different from Obama, other than being far less intelligent and not nearly as slick, should see this from Political Wire, reporting that Trump doesn’t even care what health care bill he passes, but only that he signs one into law. Whatever the corrupt Congress can pass, he will sign. If that doesn’t display total psychopathy, then the term «psychopath» has no meaning. 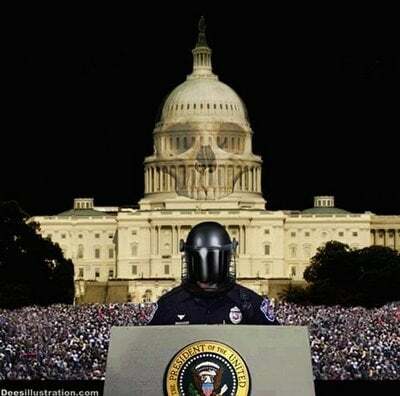 The whole thing is a con; that’s all the top level of the U.S. federal government now is. Permanent UN Security Council member Russia, on Wednesday, used its veto right to block the adoption of a resolution on Syria that would have condemned the alleged use of chemical weapons in Syria and called on the Syrian government to cooperate with an investigation into the incident. Ten of the fifteen members of the Council voted in favor of the draft resolution. However, permanent Security Council members China and Russia as well as Ethiopia and Kazakhstan voted against. The “no” of the two permanent Council members China and Russia, who have veto right, prevented the adoption of the document. The proposed resolution had been drafted by permanent Council members France, the United Kingdom and the United States. The document would have strongly condemned “the reported use of chemical weapons in the Syrian Arab Republic, in particular the attack on Khan Shaykhun,” the site of last week’s incident that has drawn increasing global attention. Some passages of the document implied that the government of the Syrian Arab Republic was responsible for the attack while others implied that the government of the Syrian Arab Republic refused to fully cooperate with relevant previous resolutions and the Organization for the prohibition of Chemical Weapons. The text would, in other words, have implied an authorization of the use of Chapter 7 and military force against the government and military of the Syrian Arab Republic due to its “alleged” non-compliance with regard to chemical weapons, in an “alleged” chemical weapons attack, “allegedly” carried out by Syrian Arab Air Forces. 2013 – The Syrian Arab Army seized 281 barrels with chemicals from insurgents at a farm in Banias, Tartus. Taking all of the above mentioned problems with UNSC Resolution 2118 (2013) into account, this paragraph can only be compared to a hair-trigger. There is dangerously much room for interpretation in this sentence. Two, equally correct interpretations are possible. By adopting UNSC Resolution 2118 (2013), the Security Council has made the unanimous decision, that measures under the UN Charter´s Chapter VII will be imposed against Syria. In other words, failure to comply will trigger the use of military force. By adopting UNSC Resolution 2118 (2013), the Security Council has made the unanimous decision, that the Security Council shall discuss the matter and decide whether the alleged non-compliance should trigger the use of military force against Syria under the UN Charter´s Chapter VII. More relevant details and problems with Resolution 2018 (2013) have been described in this author’s article entitled “A Critical Review of Security Council Resolution 2118 (2013) on Syria” from September 2013. 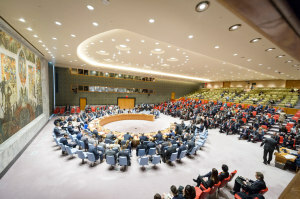 A reading of this article will explain why UNSC Resolution 2118 (2013) is relevant for the French, British and U.S. American draft resolution and why China and Russia, on April 12, 2017, used their veto right. 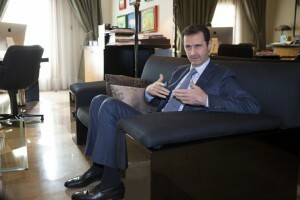 Implying that the Syrian government was in non-compliance, the draft resolution would have called on the Syrian Government to comply with relevant recommendations of the Organisation for the Prohibition of Chemical Weapon’s (OPCW) Fact Finding Mission (FFM) and the OPCW-UN Joint Investigative Mechanism (JIM). In February, Russia and China vetoed a measure that would have imposed sanctions on a number of individuals and entities linked to the “alleged” use of chemical weapons in cases where responsibility “allegedly” was established by the OPCW-UN Joint Investigative Mechanism (JIM). It is noteworthy that UN investigators who investigated the chemical weapons use in East Ghouta in August 2013 worked under the “protection” of exactly those who according to an in-depth investigation by this author were directly responsible for the use of the chemical weapons. This author has in his article entitled “Top US and Saudi Officials responsible for Chemical Weapons in Syria” from October 2013 published the results of this in-depth investigation and proven that this author, two months prior to the attack warned that the attack was being planned on highest levels, with Liwa-al-Islam and Saudi intelligence asset Zahran Alloush acting as field commander. The Trump White House published three and a half pages of accusations against the governments of Syria and Russia. These are simple white pages with no header or footer, no date, no classification or declassification marks, no issuing agency and no signatures. It is indiscernible who has written them. U.S. media call this a Declassified U.S. Report on Chemical Weapons Attack. It is no such thing. The U.S. (who exactly is that?) “is confident”, it does not “know”, it does not have “proof” – it is just “confident”. The whole paper contains only seven paragraphs that are allegedly a “Summary of the U.S. intelligence community assessment” on the issue. The seven paragraphs are followed by eight(!) paragraphs that try to refute the Russian and Syrian statements on the issue. Some political fluff makes up the sorry rest. 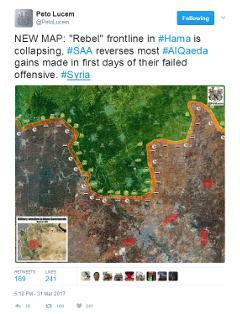 The Hama offensive had failed two weeks ago. 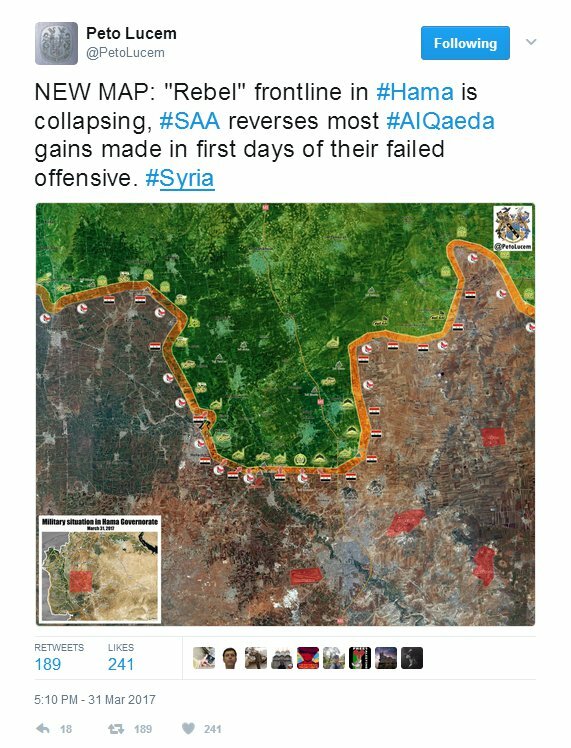 Since then the Syrian army has regained all areas the al-Qaeda “opposition” had captured during the first few days. (Al-Qaeda in Syria renamed itself several times and now calls itself “Jabhat Fateh Al-Sham”.) Key infrastructure had never been seriously threatened by it. Over 2,000 al-Qaeda fighters were killed in the endeavor. Several of the released video were introduced and commented by Dr. Shajul Islam who has been removed from the British medical registry and had been indicted in the UK for his role in kidnapping “western” journalists in Syria. He fled back to Syria. One of the journalists kidnapped with the help of Dr. Shajul Islam, James Foley, was later murdered on camera by the Islamic State. The videos the “doctor” distributed of “rescue” of casualties of the chemical incidents were not of real emergencies but staged. Under who’s conditions and directions where the many other pictures and videos taken and published? Why are no female children or young women among the emergency patients and casualties? Why is there no picture or video of where the people were hit by gas and were found? All videos are from “aid stations”, none from “the wild”. Other videos and photos are by the White Helmets “rescuers”, a U.S./UK financed propaganda prop, which is so “neutral” that it works with ISIS (vid) and al-Qaeda but not in government held areas where the actual Syrian population lives. The Hama offensive by “the opposition” was personally planned and directed by the founder and head of al-Qaeda in Syria al-Joliani. Photos of the planing sessions were published by “opposition” agencies and widely distributed. The White House paper only talks of “the opposition”. How can there be an “intelligence assessment” (and reporting about it) that does not note that the incident in question took place in an area where AL-QAEDA rules and that the allegedly related (but defeated) offensive was launched by AL-QAEDA. 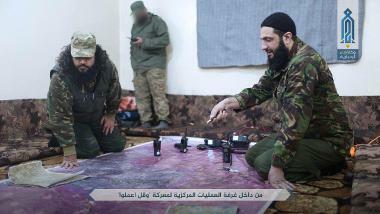 Is AL-QAEDA now officially the “Syrian opposition” the U.S. supports? The neoconned former General Petraeus lobbied for an open U.S. alliance with al-Qaeda since 2015. The new National Security Advisor to Trump, General McMaster, is a Petraeus protege. He, together with Petraeus, screwed up Iraq. Is the Petraeus alliance now in place? We could simply back off fighting territorial ISIS in Syria and make it entirely a problem for Iran, Russia, Hezbollah and Assad. After all, they’re the ones overextended in Syria, not us. Make them fight a two-front war — the moderate rebels on one side and ISIS on the other. If we defeat territorial ISIS in Syria now, we will only reduce the pressure on Assad, Iran, Russia and Hezbollah and enable them to devote all their resources to crushing the last moderate rebels in Idlib, not sharing power with them. The U.S., Friedman says, should let ISIS run free so it can help al-Qaeda which is ruling in Idleb governate. Friedman talks of “moderate rebels in Idleb” but these are unicorns. They do not exist. There is al-Qaeda and there is the smaller Ahrar al Sham which compares itself with the Taliban. All other opposition fighters in Idleb have joined these two or are now dead. But why not use these gangs of sectarian mass murderers against the Syrian government and others? Hey, Israel wants us to do just that. And why don’t we hand out anti-air missiles to them, Friedman asks, and lend them air-support. This at the same time. Surely the combination will do well. In Syria, Trump should let ISIS be Assad’s, Iran’s, Hezbollah’s and Russia’s headache — the same way we encouraged the mujahedeen fighters to bleed Russia in Afghanistan. Well, you know, that mujahedeen thing worked out so well that nearly forty years later the U.S. is mulling again to send additional troops to Afghanistan to defeat them. Do we really want a repeat of that at the borders of Europe? Lunacy has truly taken over the White House but even more so the U.S. media. How can sanity be brought back to town? Postol finds nothing in the White House assessment that lets him believe the incident was from an air attack. He finds signs that the incident that was launched on the ground by intentional exploding some container of 122mm ammunition with some other explosives. Postol presumes that the incident was with Sarin. He makes no analysis of that White House claim (it is not his field). I don’t agree with the Sarin claim. Many other organophosphate substances (pesticides) would be “consistent with” the symptoms displayed or played in the videos and pictures. Some symptoms expected with Sarin, for example heavy convulsions, spontaneous defecation, are no visible in any of the videos or pictures. I do not concur with Postol on the picture of the alleged impact crater of the “attack”. I have seen several “versions” of the impact crater on social nets with different metal parts, or none, placed in it. Postol seems to have only seen one version. His conclusions from that version seem right. But the crater “evidence” is tainted and to make overall conclusions from it is not easy. I concur though that the crater is not from an air impact but from a ground event. I am not sure though that it is related to the incident at all.